The first time that I made this soup, I was in LOVE! It is adapted from a Taste of Home Cookbook. I like it with and without spinach but do like adding grilled chicken to the soup as well. I made a few changes to the original. I used laughing cow cheese instead of cream cheese and cilantro instead of basil. 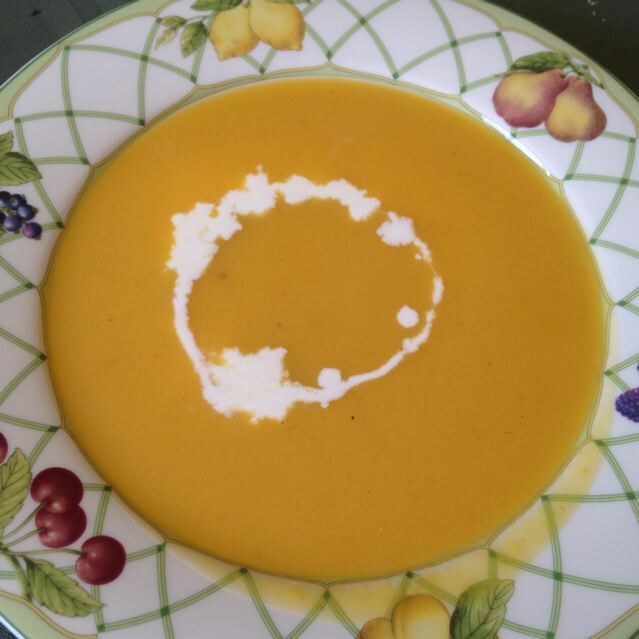 If you have an immersion blender this soup is easy to make – but you can use a regular blender of food processor if you do not have an immersion blender. I recommend you get one, they are one of my must have tools in the kitchen and have made making soups and shakes much easier. I liked this soup so much that I made it a second time in the same week. In a large stockpot, saute the diced butternut squash, carrots, and onion, and ground cumin in the olive oil over medium high heat for 10 minutes, stirring occasionally. Add the minced garlic and cook stirring for 1 more minute. Add the chipotle peppers, chicken broth, diced tomatoes, Laughing Cow cheese wedges, and cilantro and bring to a boil. Reduce the heat to medium low and cook for 15 minutes, or until the carrots and squash are soft enough to easily pierce with a fork. Blend the soup with an immersion blender (or food processor or blender). Add the black beans, corn kernels, baby spinach (optional) and diced cooked chicken (optional) and heat through. This dish is also very good with grilled cheese sandwiches. 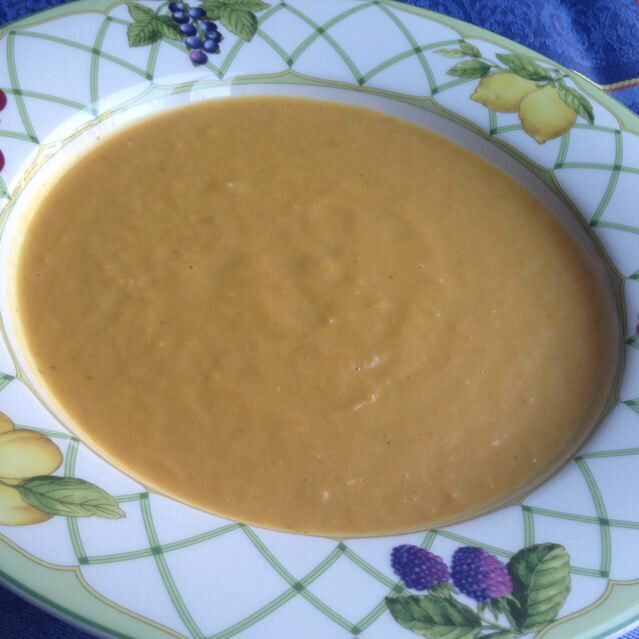 Categories: Main Dish, Main Dish - Soups | Tags: Butternut Squash Soup, Chipotle Butternut Squash Soup | Permalink. 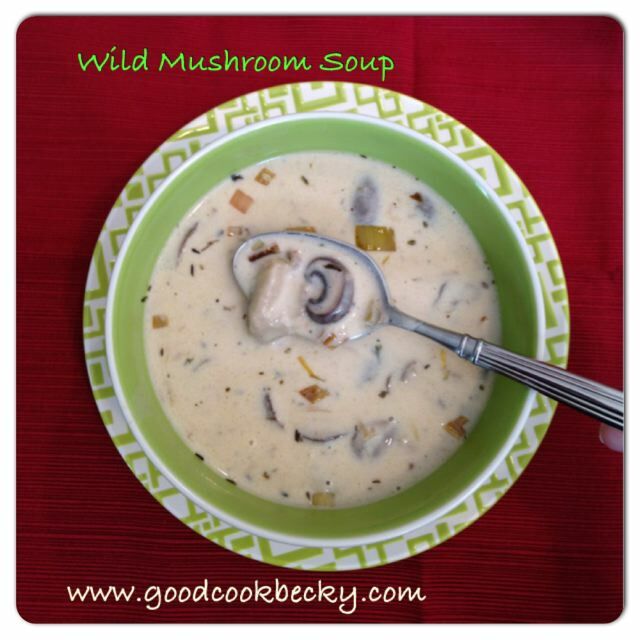 My husband loved this soup! He pretty much wanted me to make another batch right away. My kids were not as thrilled with it, and I thought it was pretty good too, but not enough to rave about it to the extent that my husband did. I used a recipe from all recipes as base and made a few changes. I added carrots since I had some to use up instead of celery which I was out of… I sautéed the onions, carrots in pancetta (bacon would be a good substitute too), drained any fat and then followed the recipe pretty closely. I did also add some bay leaf and dried thyme to the soup for added flavor. Heat a large stock pot over medium high heat. Add the pancetta bacon, carrots, and diced onions to the stock pot. Sauté the vegetables in the bacon until the onions are softened and the fat in the bacon has fully rendered. Pour off any excess fat. To the cooked vegetables, add the diced potatoes, ham, water, chicken bouillon, bay leaf, dried thyme or basil, salt, and pepper. Bring the soup to a boil and then reduce the heat to medium low and continue cooking about 15 minutes or until the potatoes test done, stirring occasionally. When the potatoes are tender, reduce the heat to low and allow to simmer while you finish off the soup. In a separate sauce pan, melt the butter over medium heat. Add the flour and whisk into the butter until it is well combined, then cook for about 1 minute. Heat the milk in the microwave. Slowly add the milk, whisking as you add it until it is smooth. Continue cooking the milk mixture until it is thickened, about 4 or 5 minutes. Add the thickened milk mixture to the soup and stir to combine. Heat through and serve immediately with crusty French bread. 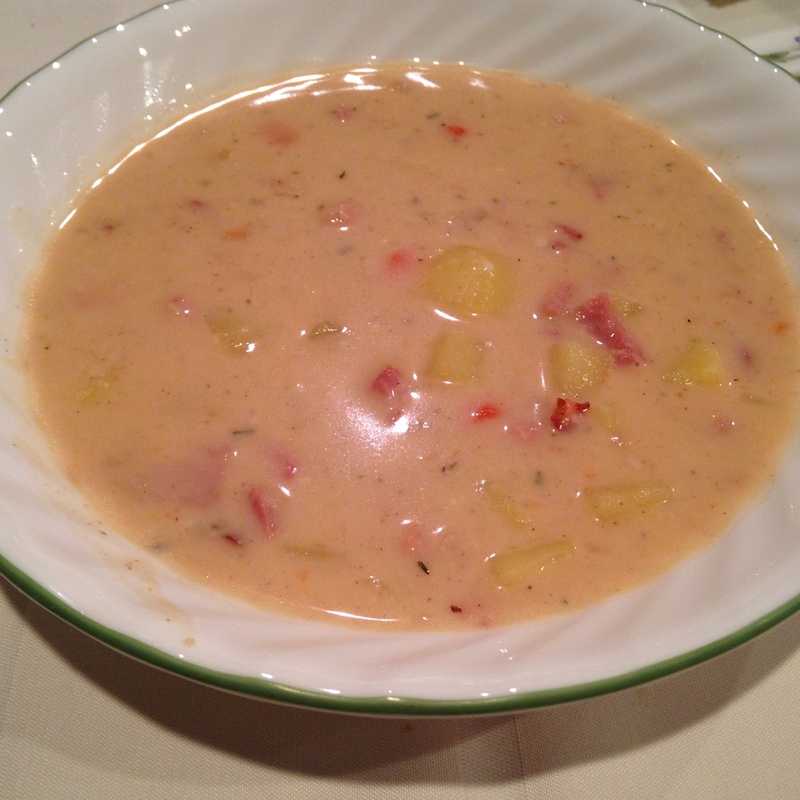 Categories: Main Dish, Main Dish - Soups | Tags: Delicious Ham and Potato Soup, Ham Potato Soup, Ham Soup, Soup | Permalink.